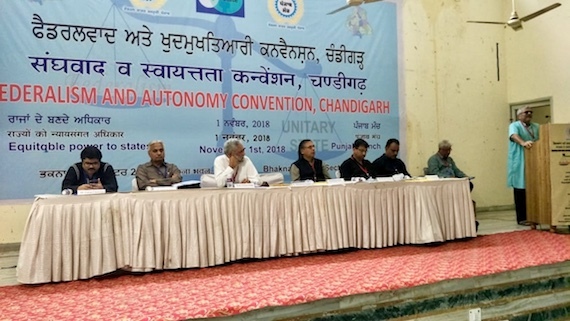 Chandigarh: Dr. Dharamvira Gandhi Member Parliament led “Punjab Manch” yesterday yesterday held a political convention to discuss the issue of “Federalism and Autonomy” in Indian peninsula at Bhakna Bhawan, Sector 29 D Chandigarh. Dr. Dharamvira Gandhi welcomed the delegates and delved on the concepts of Federalism and Autonomy for Punjab and other states of India. Prof. Pritam Singh from Oxford University asserted that India is a multi-national country, and this truth be given precedence in all spheres and all walks of life. 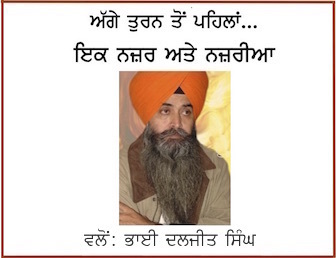 He described the unity of all Punjabis is a necessary condition for prosperity of Punjab. The failure to decentralise the power to the states led to the division of India in 1947. He blamed Congress and its leaders for the communal division, even more than Mohammad Ali Jinnah. Mr. Garga Chaterjee of Bangla Pokho from West Bengal emphasised the need for self respect in this diversity as a necessary condition for unity among diversity. 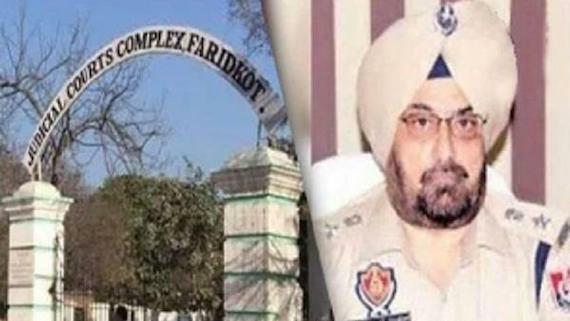 He reminded that India was not built on one religion or one language He also asserted that the 1947 unfortuate division of India was infact division of Punjab and Bengal. Aazhi Senthilnathan from Tamil Naidu dwelt on the real meanings of region,states and nation. He pointed out that Punjabi, Bangla and Tamil are official languages in more than one country then why these be called regional languages. 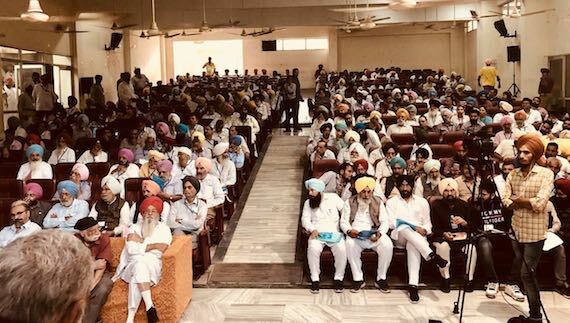 He appealed to Dr. Dharamvira Gandhi and Punjab Manch that he may take lead to gather all forces active for federalism and bring them together on one front. Managing Director of Daily Ajit, Satnam Manak drew attention towards deteriorating status of regional languages. He asserted that if the language of people dies, the identity of the community, culture and economy dies along with it and everything perishes. Representative of Marathi Abhyas Kendra Dr.Deepak Pawar highlighted the importance of recommendation of Sarkaria Commission and Punchi Commission. He demanded abolition of colonial-like posts of Governor’s in the state and emphasised the need of equal representation of all states in Rajya Sabha. Prof. Deepak Pawar asked the people to differentiate between the movement for autonomy and Separatism and especially emphasised to be aware of the difference. Video messages of Sh. Prashant Bhushan Senior advocate Supreme Court of India and Prof.Balveer Arora of Jawaharlal Nehru Univeristy were also displayed. All speakers emphasised on the need to launch a campaign for review of Centre-State relations and restoration of balance between Centre and States. Delegates from different parts of Punjab participated in the convention in large numbers. Dr.Jagjit Singh Cheema, joint director retired conducted the stage and Prof. Ronki Ram of Punjab University gave vote of thanks. Sh. 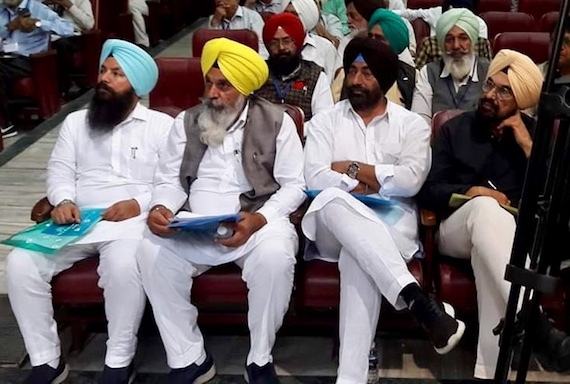 Sukhpal Khehra, Kanwar Sandhu, Jagdev Singh Kamalu, Master Baldev Singh all MLAs also participated in the convention. Ex IFS Sh. Ashok Kumar Sharma, Senior Advocate Punjab Haryana High Court Rajvinder Singh Bains,Ex Vice Chancellor Dr. Joginder Puar, Press Correspendent Hamir Singh, S.Sukhdev Singh, linguistic campaigner S.Joga Singh and Members of Punjab Manch Prof. Malkiat Singh Saini, S. Sumit Singh Bhullar, Gurpreet Gill, Smt. Harmit Jaur Brar, Sh.Satnam Daun were also present.